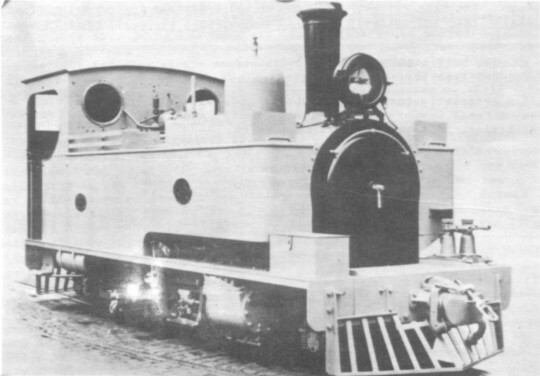 The first Hunslet locomotives for the 2’ 6" gauge Sierra Leone Government Railways were two 7½" x 12" 0−6−0 side tanks built in 1896 (Hunslet 650 and 651: SLGR 1 and 2) but these appear to have had little in common with the 2−6−2 side tank design introduced in 1898. Five 12" x 16" 2−8−2 side tanks (Hunslet 883-887: SLGR 101-105) were delivered in 1906 but these again showed no similarity to the 2−6−2 design, having inside frames and an extremely shallow firebox – so shallow in fact that the water-legs were practically non-existent. It was necessary to build a firebrick wall across the front of the grate to stop the fire going up the tubes! Between 1898 and 1954 Hunslet built thirty-two 2−6−2 tanks to a design which altered basically very little. The table below gives the Hunslet works number, date of despatch and the SLGR (or SLR) number. Some, at least, of these engines were named, as on 5th December 1906 the Crown Agents ordered from Hunslet pairs of nameplates for Sierra Leone locomotives 1 to 24. Of these 21 to 24 were named respectively BOAGIBU, LAGO, KENNAMA and NIAWA. I have divided the engines into six batches and indicated the main features which underwent change over the years. 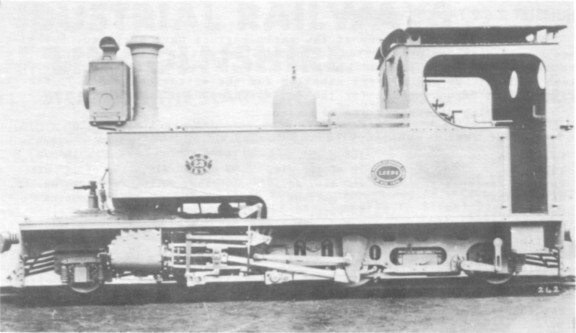 28-36 : flush round-top firebox; Ramsbottom safety valves outside the cab; dome forward of centre of barrel; larger boiler fitted in which the maximum outside diameter was increased from 2’ 5¾" to 3' 23/8"; increased water and fuel capacity; otherwise as 21−27. 37-41 : no boiler feed pump; steam and hand brakes (engine) and vacuum brake (train); otherwise as 28-36. 42-47 : fixed spring gear; otherwise as 37-41. 81-83 : Ross "pop" safety valves; increased water and fuel capacity; electric lighting; Wakefield "Eureka" type C hydrostatic lubricator; otherwise as 42-47. 84-85 : roller bearing axleboxes on the pony trucks; otherwise as 81-83. No details of the livery of the early engines have survived, but 43-47 are recorded as "painted Gorton green and lined out in black and chrome". 81 to 85, however, were painted black which is the present standard livery for tank engines. 26 and 27 were supplied for the extension to Bo, 33 for the extension to Baoma, and 41 for the extension to Rowalla. 10" x 15" 10" x 15" 10" x 15"
Tubes : 78 of 15/8" dia. 97 of 15/8" dia. 97 of 15/8" din. Working Pressure : 160 lbs./sq.in. 160 lbs./sq.in. 160 lbs./sq.in. Heating Surface (Tubes) : 277 sq.ft. 345 sq.ft. 345 sq.ft. Heating Surface (Firebox) : 35 sq.ft. 36 sq.ft. 36 sq.ft. Grate Area : 6¼ sq.ft. 6¼ sq.ft. 6¼ sq.ft. Coupled Wheels (diameter) : 2' 4" 2' 4" 2' 4"
Bogie Wheels (diameter) : 1' 6" 1' 6" 1' 6"
Coupled Wheelbase : 5' 6" 5' 6" 5' 6"
Total Wheelbase : 15' 4" 15' 4" 15' 4"
(empty) : 15t. 10c. (21-23), 16t. 0c. (31-32), 16t. 16c. (42), 17t. 12c.(84-85). (loaded) : 18t. 10c. (21-23), 20t. 2c. (31-32), 20t. 13c. (42), 22t. 9c. (84-85).